£48 Sorry - now sold! 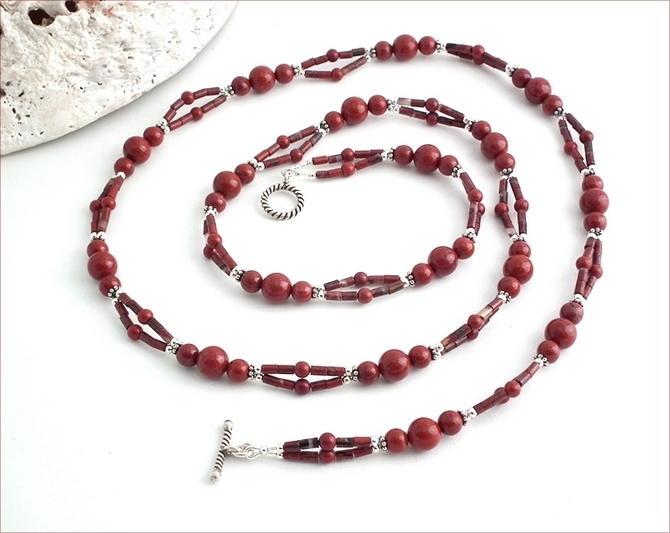 This necklace is long enough to wrap around twice, or it can be worn long. 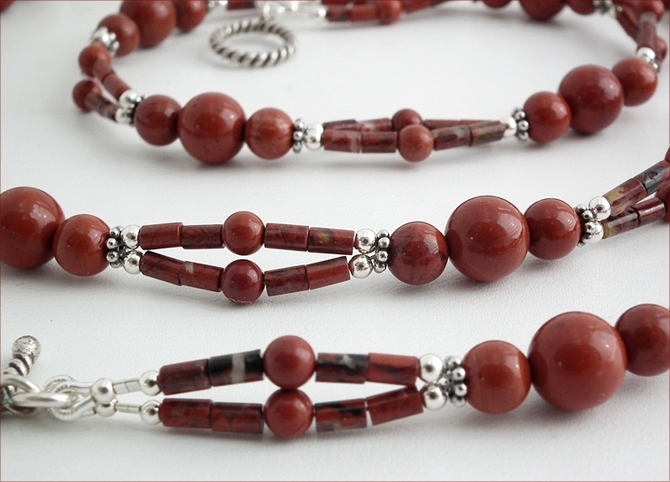 I've used three different sizes of red jasper beads and teamed them with tiny tubes of brecciated jasper (jasper which contains some hematite). 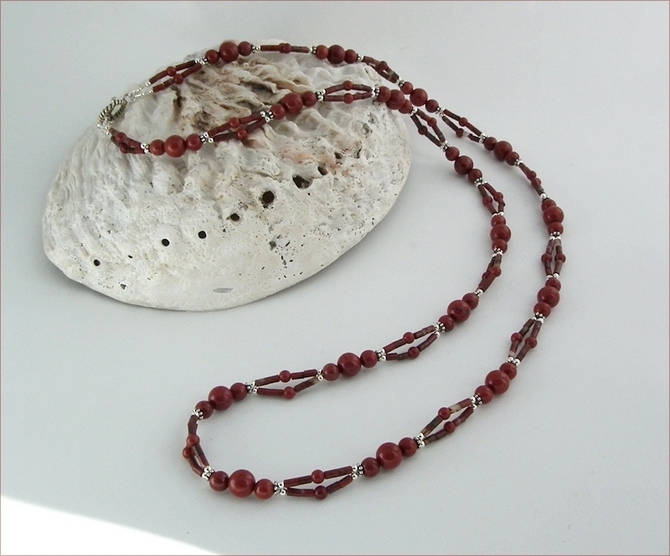 Each 3-bead 'station' is topped and tailed with Bali sterling silver spacer beads and tiny round sterling silver beads. 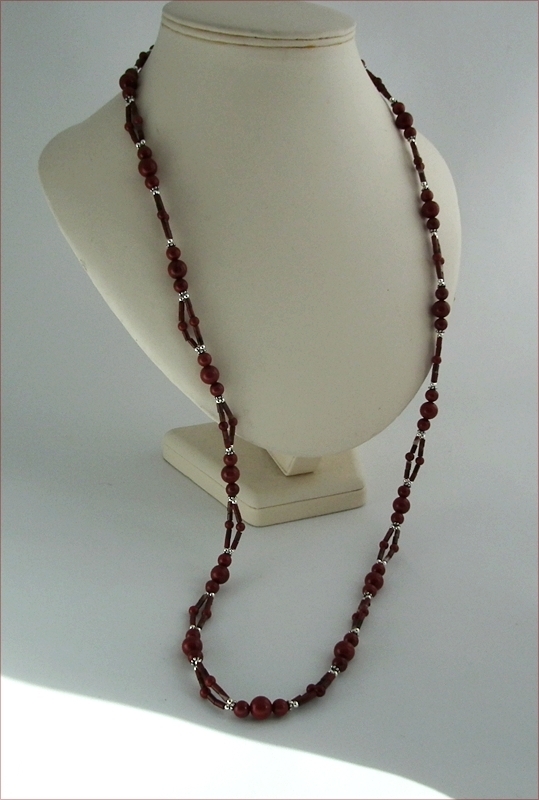 This lifts the necklace into something rather elegant! 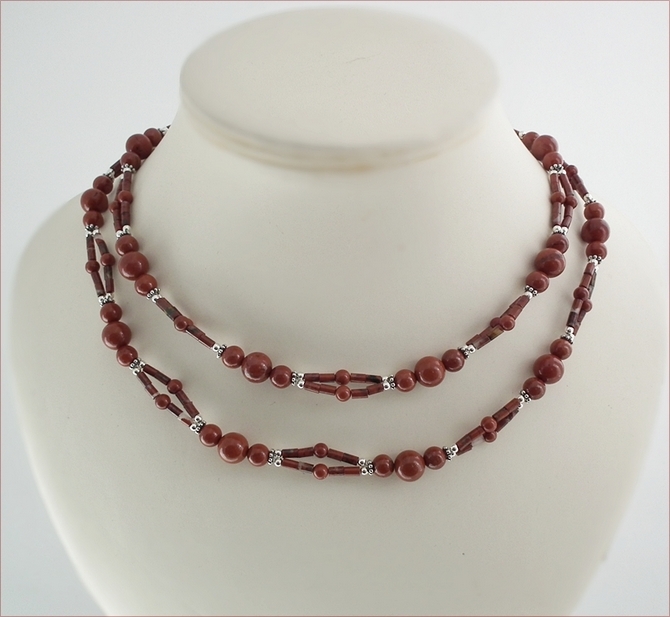 The necklace is 35" (890mm) long and fastens with a Karen Hill Tribe silver (at least 95% pure silver) twisted wire toggle clasp. Wear it long over a light fine-knit jumper, or doubled under a shirt.